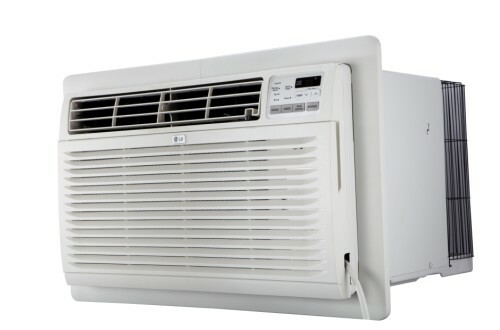 The LG 9,800 BTU Through-the-Wall Air Conditioner with Remote adjusts to your cooling needs with 3 fan and cool settings and 4-way air direction. It features an automatic restart after a power failure and has an energy saver mode. The washable air filter saves money on replacements. 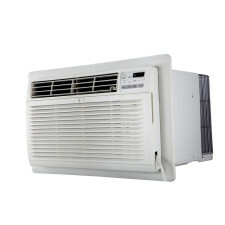 This unit cools up to 450 sq. ft. Wall sleeve sold separately.